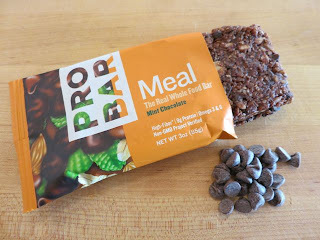 PROBAR Meals have been my go-to meal replacement bar for a while now. So why am I writing about them again? They have four new flavors! That's why. From Chocolate Coconut and Mint Chocolate to Superberry & Greens and Oatmeal Raisin, there's at least one new flavor that will appeal to everyone's palates. 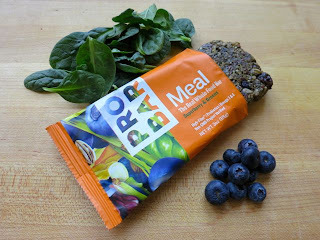 When I first reviewed PROBARs I remarked that I was shocked at the sheer number of ingredients. However, upon closer look, they mostly appeared to be good-for-you ingredients. Take the Oatmeal Raisin for example. Inside, you will find brown rice syrup, oats, raisins, cashew butter, walnuts, sunflower seeds, dates, flax seeds, sesame seed, evaporated cane juice, crisp brown rice, agave syrup, expeller-pressed canola oil, vegetable glycerin, brown rice crisp, rice syrup, pumpkin seeds, oat flour, salt, molasses, cinnamon, rosemary extract, tocopherols, citric acid, ascorbic acid, and arabic gum. The only items I don't like are the last three, but they are likely there to help preserve color and flavor. The other thing that might be alarming is just how many calories and grams of fat each bar contains. For example, the mint chocolate flavor is 380 calories and 18 grams of fat. 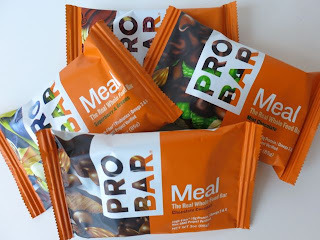 Well, they are supposed to be meal replacement bars so that might help one justify the high caloric and fat content. For me, I know that it is all good fat and sometimes I'll just snack on half a bar one day, then the other half the next. Everything in moderation. So which one was my favorite of the new flavors? The Chocolate Coconut of course! I mean, how could you go wrong with chocolate and coconut? 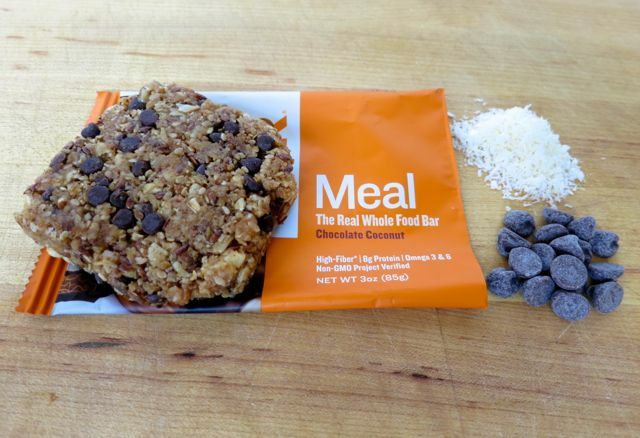 This bar is super chunky and loaded with chocolate chips and chunks of papaya sweetened with coconut. More, please. The Oatmeal Raisin was delicious as well and I could see using this as a breakfast replacement bar on-the-go. 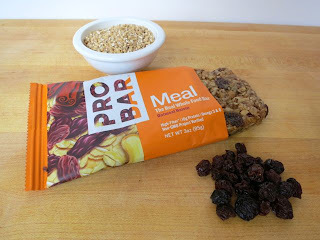 Think large chunks of walnuts and big soft raisins mixed with organic oats. Very good. Next up is the Superberry & Greens. Now, I liked this one, but I'm a huge fan of greens. Realize that the taste of wheat grass, barley grass, alfalfa, spirulina, and chlorella is an acquired one. Eat it with an open mind and know how good it is for you and you will thoroughly enjoy it. If you are a regular consumer of these types of greens, you'll absolutely love it. Lastly, the Mint Chocolate was good as well, but I liked this one least of all. I'm just not digging mint chocolate as much as I used to. All of the PROBARs are loaded with fiber and protein and are a good source of omega 3 & 6. They are all vegan, mostly raw, certified organic, and Non-GMO Project Verified. 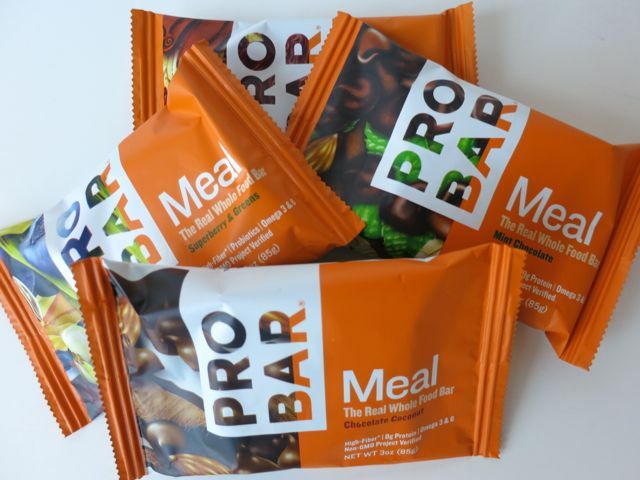 Try them for yourself by ordering some here or find them in your local natural foods store.